When Anne's mother accepts a proposal of marriage from a somewhat mysterious, wealthy gentleman, Anne is happy to see her mother finding love and happiness again. Yet something seems a little off. Things get stranger when they arrive at Ivan Helsburg's home, Belrose Abbey, for the first time. It's a looming, old castle, hard to reach and easily cut off from the town by bad weather, and cold and dark. The housekeeper seems oddly hostile to them, as if she'd rather drive them away. There's also Ivan's stepson from his previous marriage, which Anne's mother hadn't known about, and which seems to have been remarkably brief, and ended in the lady's apparent suicide. 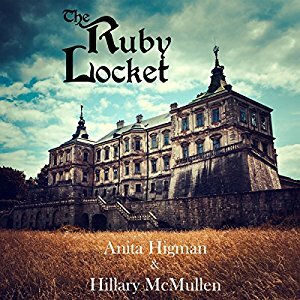 Strange events keep happening, including Anne's discovery of a sealed-off room in the cellar that seems to have been used to imprison someone. Creepy event after creepy event encourages Anne to think her mother would be better off leaving. Then she overhears Ivan's moving declaration of love for her mom, which soothes her worries until she finds his letter proposing to his previous wife--using almost exactly the same words. What's going on here, and why? The atmosphere is quite effectively creepy, as Anne and the reader get more confused, more alarmed, more uncertain who if anyone she should trust. This is an excellent audio novella, and Michelle Rabb as usual does an excellent job of narration.